In today's episode of my ongoing Jean-Claude Elléna love fest (see Hermessences 1, Hermessences 2, and The Alchemy of Scent), I consider two of the Hermessence perfumes which did not go over that well with me the first time I tried them. Since then, I have discovered the real reason why the house samples of this line contain a generous 4ml. To know the Hermessences is to love them and, as is the case with any successful relationship, that takes some time—and milliliters. The beautiful, sleek vials in which the Hermessence samples arrive are a pleasure to behold, but the truth is that the liquids inside play out much more beautifully when sprayed than when dabbed. Fortunately, a while back I ordered a supply of atomizers and have been pouring my Hermessence samples into those vessels so that I can get a full sense of the complexity of these creations. “Hand decanting,” as they say in the gray market trade, is easier said than done in this case because Hermès topped its thin, lengthy, test-tube-like vials with childproof openings so that consumers do not accidentally spill 4mls all over themselves. They really thought of everything, didn't they? Well, not quite. Like how about selling sample sets? These ones I found inordinately difficult to come by because my initial email request must have made me sound like an ebay hawk or reasonable facsimile. 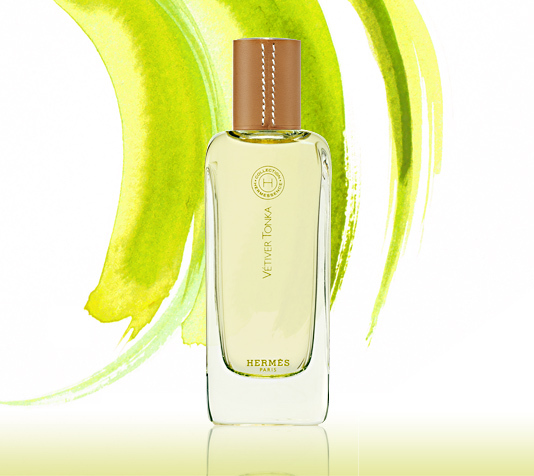 I believe that I listed the Hermès perfumes beloved to and owned by me, and expressed an interest in trying the Hermessence line. Everything I said was true, but I must have tried too hard. Or perhaps my request just fell through the cracks? All I know for sure is that it took me more than a year to collect all ten of the Hermessence vials, which I offered to buy from the beginning, but Hermès does not sell its samples. Instead, they give them away, after which some of them end up at certain unmentionable websites going for $25 each. Sad, if you ask me. Hermès could do all of us a big favor and sell comprehensive sample sets to interested consumers, thereby putting an end once and for all to the shameless unlicensed re-selling of their lovely perfumes. Just an idea. My initial encounter with Brin de Réglisse left me seriously wondering whether I really wanted to smell like Panda Black Licorice with Herbs. It's a delightful product, no doubt one of the national export treasures of Finland, and I am a major consumer of all-natural, black-as-night licorice. So what's not to like? It's true that I do not always like lavender notes in perfumes, so one potential problem with this creation for me was not the licorice but the lavender. What I found, however, was that the overall effect of the scent veered too close to the “perfume” produced through filling my mouth with Panda all-natural Black Licorice with Herbs and chewing, savoring the black juice as it is produced. I find in general that smelling identical to a food item which I love to consume is not usually a recipe for perfume success in my book. I'm certainly not one to say that every perfume which yields a facsimile of a scent in my olfactory memory bank is necessarily a masterpiece. 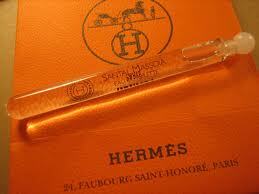 Some scents really belong where they are, in situ, right there where they are produced in nature. The scent of Panda Black licorice dissolving in my mouth is, I concluded, one of them. Vétiver Tonka was bound to be a tough sell from the beginning, because I had never before encountered a sweet vetiver perfume. There was something discordant about the scent, as though someone added too much salt to a hazelnut cake. I figured that it just wasn't meant to be and forgot about this Hermessence for a while. When I decided to re-test the Hermessence line using spray atomizers, my biggest surprise of all was the marked improvement in the quality—according to my nose—of Vétiver Tonka. For one thing, it no longer seemed all that sweet. In fact, it hardly seems sweet at all anymore. 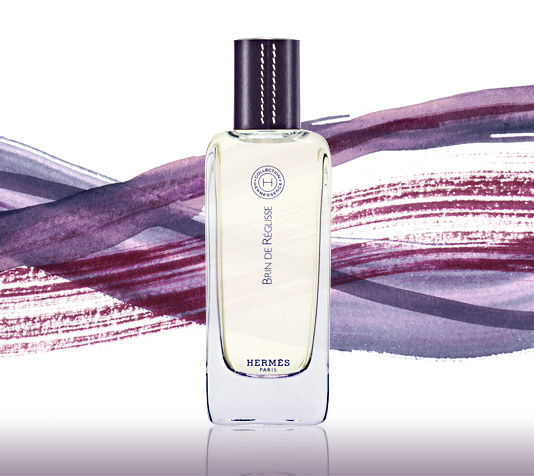 For another thing, as in the case of Brin de Réglisse, many layers of complexity emerge through allowing this perfume to be infused with air molecules, thus separating what formerly seemed to me to be a monolithic layer of weirdly sweet vetiver. Now, to my delight, I find that this composition has a cigarette ash facet similar to the one I recently encountered in Etat Libre d'Orange Jasmin et Cigarette—which is otherwise totally different from Vétiver Tonka, and not in the least bit sweet—but there definitely is a tobacco connection, which it shares also with Caron Le Troisième Homme, another splendidly tobaccoish unisex scent. How did I miss this before? I guess that I was fixated on the sweet vetiver and the salty hazelnut cake. I've learned my lesson now once and for all, it seems: if you want to know how a perfume which is sold in a spray bottle smells, you'd better spray it on! These are the two I wasn't nuts about either. Everyone seems to love Vétiver Tonka, and I just don't get it. Maybe I'll follow your lead and put my sample in an atomizer. I do like Jasmin et Cigarette.